See inside one of Ohio’s most beautiful historic landmarks, The Cleveland Arcade, using a 360-degree virtual reality tour! Click and drag the image above to look around. Click on arrows to move to another location. Click the box at top right to go full-screen, and click + or – to zoom in and out. The Arcade was built in 1890 in Downtown Cleveland’s Gateway District as one of the United States’ very first indoor shopping malls. The Victorian-era structure has a glass skylight spanning five stories high for the length of a football field. It is one of the last buildings of its kind in America that still remains standing from this era. It cost less than $900,000 to build back then! Each spring, two tiny secluded Cleveland streets tucked next to the campus of Case Western Reserve University erupt with thousands of visitors to check out the art, crafts, music, and food of the Hessler Street Fair. 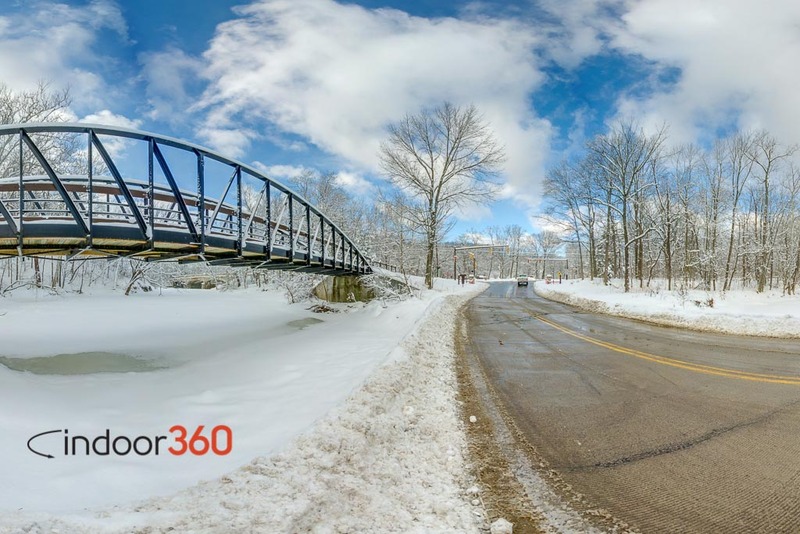 Experience the festivities in our 360-degree virtual reality tour! Little Planet of the crowd listening to a band play at the Hessler Street Fair in the secluded Hessler Road Historic District in Cleveland's University Circle neighborhood. After closing for over 20 years, the iconic Cleveland Trust Rotunda has been reopened by Heinen's as Downtown Cleveland's first supermarket. Click and drag the image above to look around. Click on arrows to move to another location. Click the box at top right to go full-screen, and click + or – to zoom in and out. See inside the building with our virtual reality tour, and read more about the history of this beautiful landmark. Over half a foot of wet snow from Winter Storm Linus blanketed Northeast Ohio in February 2015, creating winter wonderland in the Rocky River Reservation of the Cleveland Metroparks. 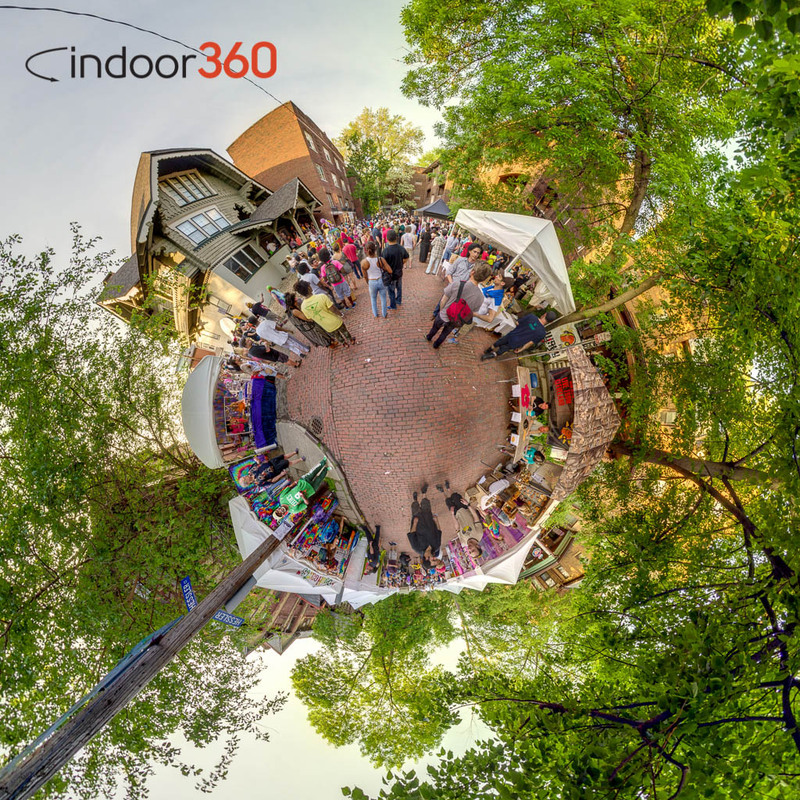 See it in 360-degrees here! The Valley Parkway and the All-Purpose Trail from Cedar Point Ford in the Cleveland Metroparks' Rocky River Reservation. 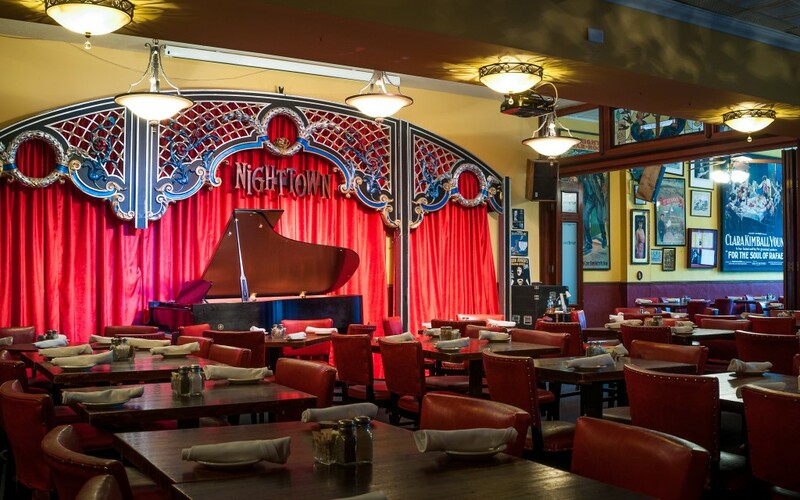 Nighttown, noted as one of the world's best jazz clubs, celebrates 50 years of great music and great tales. Read their story on Freshwater Cleveland, and explore their space here with our Google Street View virtual tour.